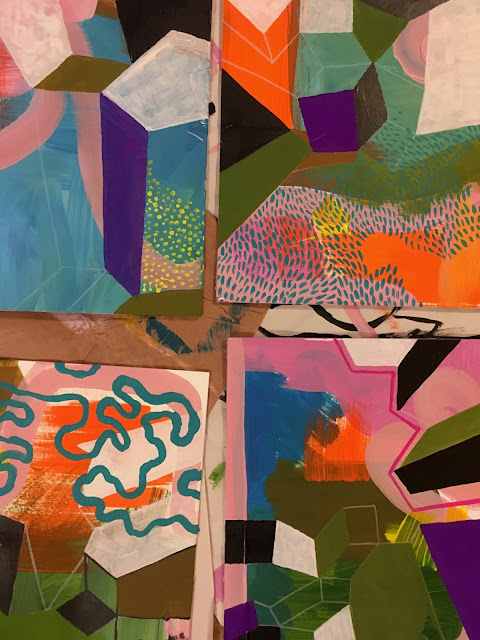 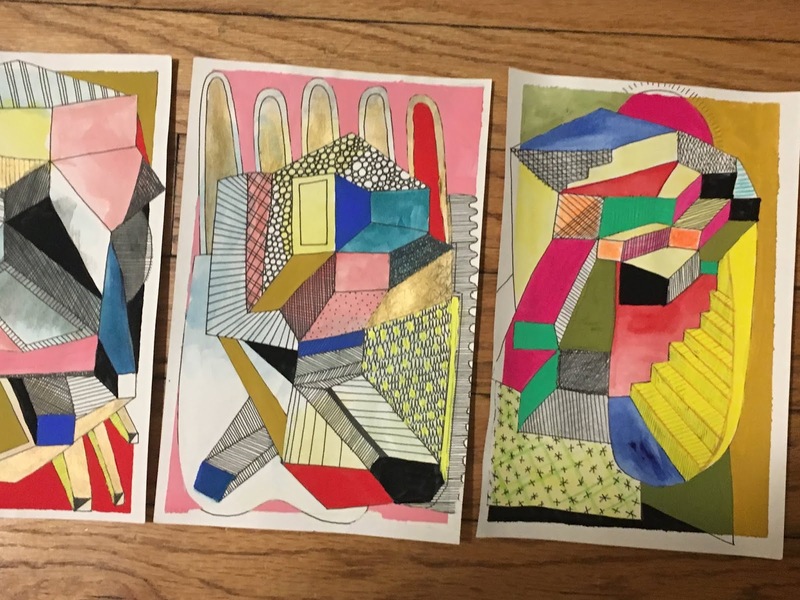 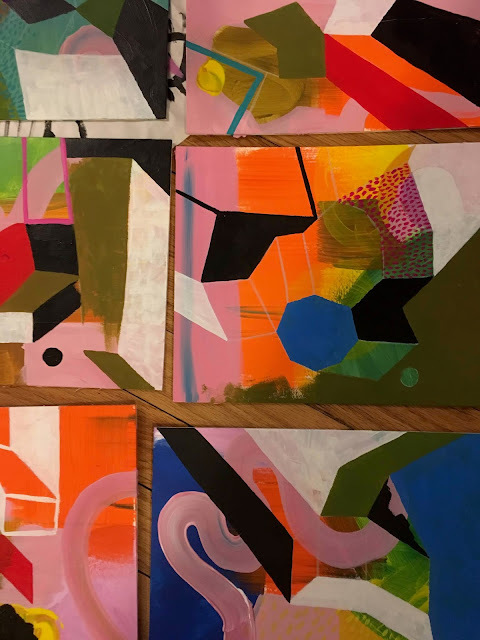 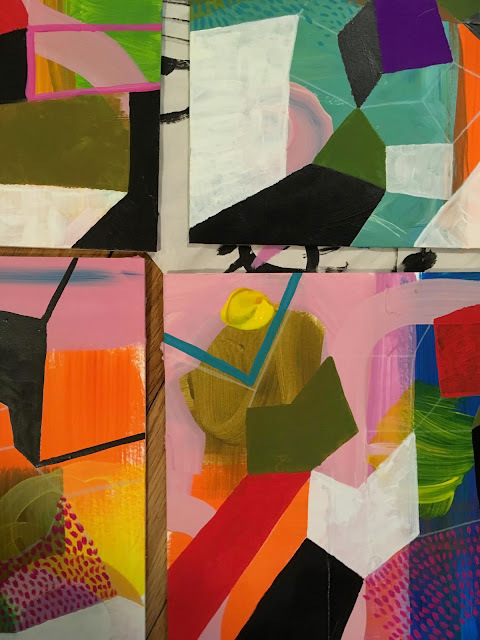 These short series of geometric paintings began in 2018. 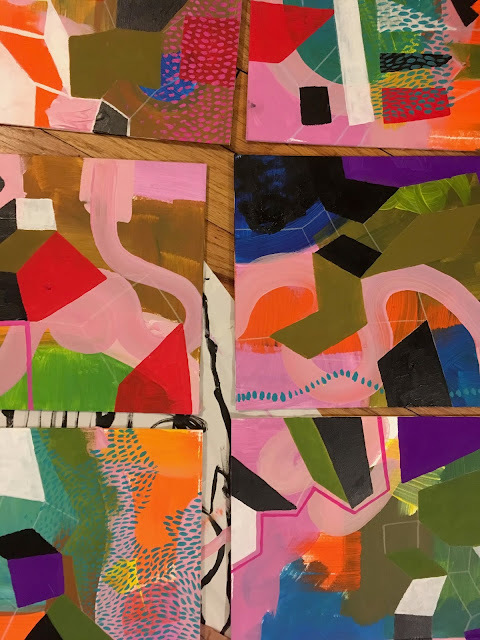 For this project I work in a limited palate and follow an instinctive sort of logic when making decisions, trying not to be precious. Color theory experiment turned ongoing project. 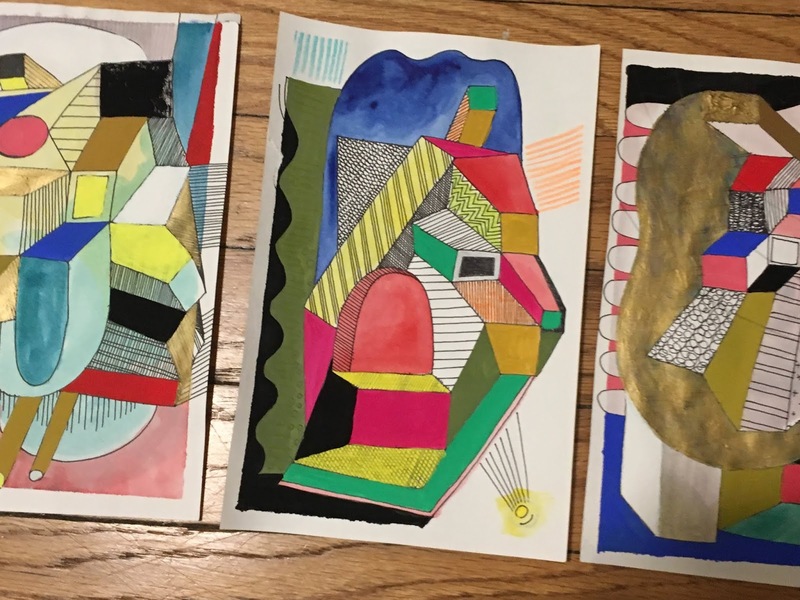 Materials include watercolor, acrylic, goache, pen, pencil, ink, paint pen, marker, crayon.